YouTube announced support for 360-degree videos back in March 2015, and since then, some stunning immersive videos have been uploaded. From couch-based police pursuits to wingsuits, giraffes to city skylines, here are our top picks of the best 360-degree videos out there. 360- or, if you prefer mathematical accuracy, 129,600-degree video is being pushed by the hefty likes of Facebook, which acquired virtual reality company Oculus VR in 2014, and YouTube, with the hope that it becomes more than a novelty for people with expensive headsets to enjoy. Many phones support 360-degree video by using the accelerometer hardware to allow you tilt your phone to look around, otherwise, you can click or press and drag to peer around the scene. The format has been adopted by extreme sports, news organizations and documentary filmmakers to variously convey the adrenaline, awe and horror of the world. Here are our picks for the best videos to spherically explore on your smartphone, computer or VR headset. The video YouTube used to demonstrate the format was a surreal adventure involving the televised police pursuit of a flying couch, which you, the viewer, quickly become involved in. If you like watching wild animals run away from loud scary flying machines, this video has that, and some stunning vistas thrown in there too. It opens with an expansive aerial view of Manhattan. The 360 format is a great way to explore some of the most stunning locations in the world from an aerial perspective. Jumping off a cliff with nothing but some flimsy flaps of material to slow your perilous descent certainly provides a rush, but it also provides ample opportunity to see your fragile human form smashed into miserable little pieces. Luckily, you can now approach the activity from the safety of your smartphone screen. Surfing looks great, but it's really hard, and most of us don't have the opportunity to fly to Tahiti that often, either. Well, now you're in luck because YouTube has footage of some surfer dudes heading out into the waves to get barreled off the shores of a utopian Pacific island. VICE News was one of the first news organizations to make use of the technology, posting a short video diary to Facebook showing the worn-torn nation of Afghanistan in the wake of the US military withdrawal. Now, more and more are boarding the 360 train. The video we've chosen gives you a revolutionary peek inside one of the most secretive states on Earth. When Matt Damon isn't there, the surface of Mars is a pretty uneventful place, but the fact that you can wear a VR headset and look around the actual surface of Mars is one way of saying that we are definitely living in the future right now. As the VR experience can be pretty immersive, it lends itself well to the nerve-jangling sensory overload that horror films rely on. There are a few examples out there, but this one is our favorite, even if it has been made to promote a movie. That does lead on to how exciting this technology could potentially become, however. If done right, 360-degree movies seem like a pretty incredible way to make use of the technology. As a bonus, you can even watch a sadistic man valiantly struggle to reduce a snowman to steam in 360-degree vision, although there's only one direction you're going to be looking here. What do you think of this new format for watching videos? Is it the future or a fad? Also, let us know if you've found any videos you think we should include here. Still works for me without a VR Device. Using my smartphone. In the Gear VR, you can fly thru out the solar system in a space ship and visit any planet. You should include some Gear VR Oculus videos in such articles. 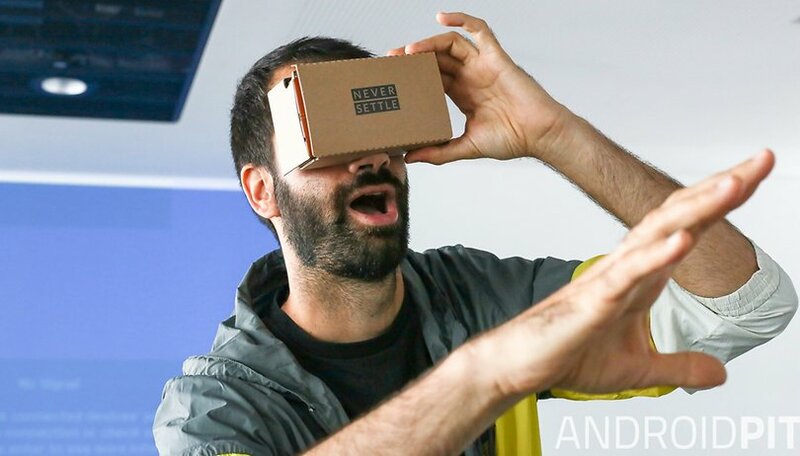 It is probably the most popular VR headset in the world after the google's cartoon sets. I have a Gear VR and believe that VR is not the future for many reasons. - Most women I show it to won't put it on. Why? They don't to mess up their makeup or get makeup on the headset. - This is exclusionary entertainment. Only one can participate. It's great for geeks but not so much for social folks. - After 20 minutes the weight of the headset hurts my forehead and nose. I want to do more, I enjoy it a lot. But the discomfort outweighs the benefit. - Resolution is currently crap. Even on my high res Note 5 (highest res available) I can see pixels enough to be annoying. Everything looks like I'm in a Minecraft game. I don't believe that 4K will be enough resolution to solve this. A phone needs a LOT of horsepower to run a 4K or higher display. It won't be cheap. - Bandwidth. On my home network with 30meg download speeds the bandwidth for 360 videos make it tough going. I can't even imagine the amount of bandwidth needed for a 4k 360 video. Who has that? - I wear glasses. The experience with glasses isn't wonderful. All in all it's a "nice" experience. But I think it will go the way of 3D TV because of the issues above. Nothing more than a novelty except for the geeks in the world. can I have link to Mars Video . ?